There are many options for entrepreneurs looking to immigrate to Canada. The first option is called the Start-up Visa Program. The program encourages immigrant entrepreneurs to grow their companies in Canada that can create jobs for Canadians and compete on a global scale. This infographic below will solve your problem by giving the simplest answer for the question: How The Entrepreneur Start-Up Visa Program works. 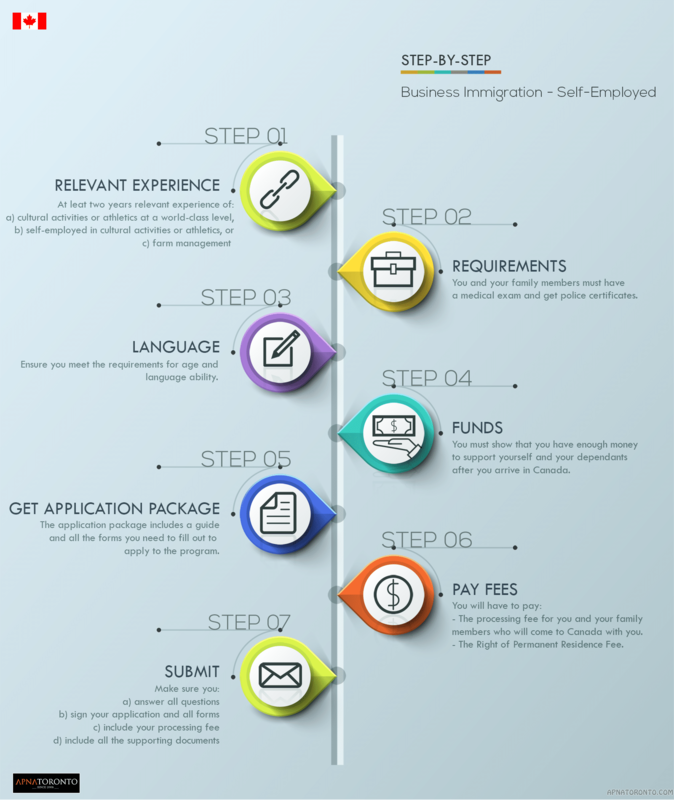 This infographic below will solve your problem by giving the simplest answer for the question: How Self-Employed Persons Program works.